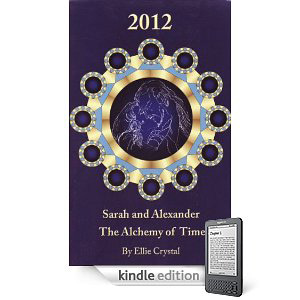 I just wanted to thank you for writing your book 2012, Sarah and Alexander, The Alchemy of Time and tell you how much I appreciate having it to read. I bought it a couple of years ago and have read it several times since then. I really enjoy the book and it brings me a sense of peace and comfort. I feel I get something new from it every time I read it as well. In these stressful times it is wonderful to have something that does that. I am sure many other people have told you how wonderful the book is, I just wanted you to know from one more person how much your book is appreciated. I finished your book a little while ago, and I have to tell you it was awesome. I couldn't put it down! It really resonated with me. Since then, the "Wake-up Calls" I have been getting in my life have gone nuclear! I thought i was awakened before, but since i finished your book, it's opened up a whole new world. And the symbolism of Ohm-Omega and the book being your last paperback version for sale, isn't lost on me either. lol! Your book as the screenplay 2012 THE ALCHEMY OF TIME has a good chance of happening. I love your momentous core idea: There's a catastrophic glitch in time, an accidental time loop created. This glitch has unleashed the greatest monster in history, Adolph Hitler. Unless stopped, he will extend his Reich into eternity and the end of humanity as we know and value it. Going up against him is a young woman, Sarah, who happens to have the most significant resume of all time, her position in the bloodline. Thus we have an unprecedented class of evil and good. This is the sort of thing that draws the widest kind of audience. Your big canvas sweeps across time and continents to bring this epoch tale to the audience. Your imagery is brilliant and a feast for a special effects producer. Good luck with the project. Hi Ellie, I wanted to drop you a line to tell you how much I loved SARAH AND ALEXANDER. In fact, I couldn't put it down and read it in two days! I can understand why you want to make this into a feature film, I think it would be awesome. I will hold this vision with you!